The Essato 3 piece tap and spout set - Tall from designer Della Francesca® is a bold modern look for contemporary bathrooms. This three piece bath hob or basin mounted tap set is perfect to replace existing dated taps or as a feture in your new bathroom. It is a great choice for basin and bath taps as it keeps the benches and bath area clear. Featuring clean and simple sharp lines common to the designer Essato bathroom range, this smart tap set will add a touch of sophistication and elegance to your home without breaking the bank. Made from solid brass with a chrome finish. When you need a three piece tap set for your bath or bathroom basin the Essato 3 piece tap and spout set from designer Della Francesca® is a perfect modern choice. Its modern look is popular for contemporary bathrooms. This three piece bath hob or basin mounted tap set is perfect to replace existing dated taps or as a feture in your new bathroom. It is a great choice for basin and bath taps as it keeps the benches and bath area clear. 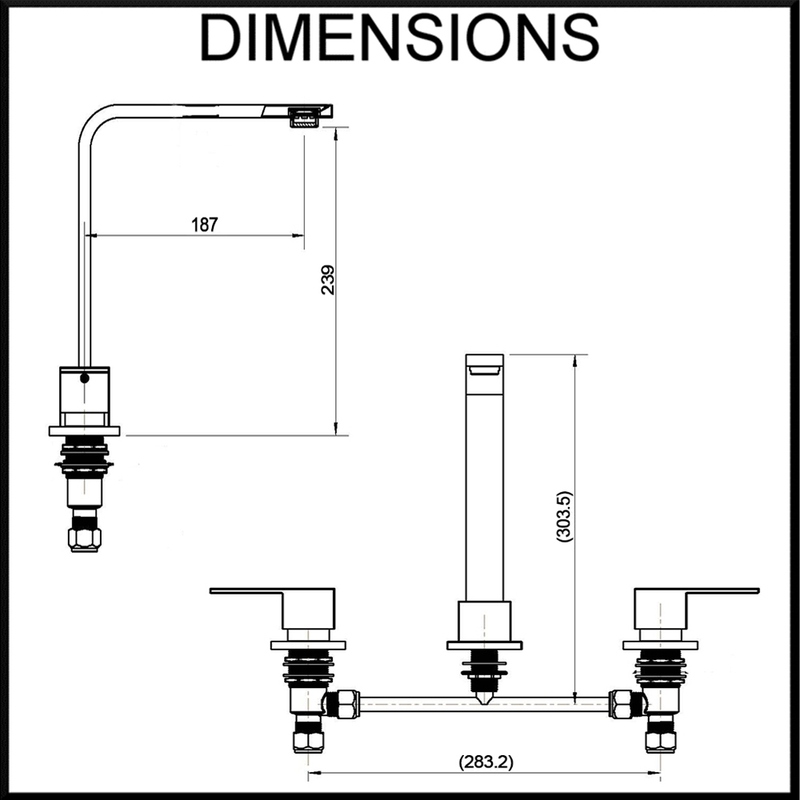 Many people prefer the simplicity of separate hot and cold water controls. Featuring clean and simple sharp lines common to the designer Essato bathroom range.